With there 60 years of experience Öhmans in Ljusdal has been involved in building Ljusdals and Häjedalens municipalities. Today, they also accept building assignments in Stockholm and the mälar-region. There clients are municipalities, several insurance companies, businesses and individuals. Because of their wide knowledge in construction business, Öhmans Bygg are able to offer everything from part- to turnkey projects, renovations, extensions, insurance jobs and building preservation. To ensure that the result of their work holds a high standard, Öhmans Bygg follows a quality- and environmental management system established in accordance with ISO 9001:2000 and ISO 14001. 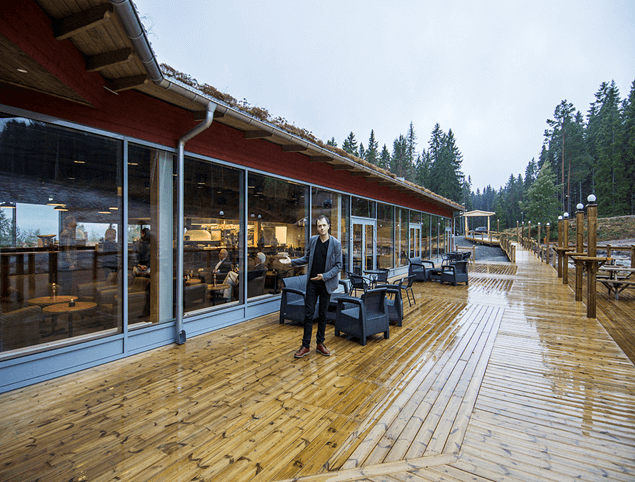 Among reference cases for the company, you´ll find the turnkey project Bergshotellet in Järvsö, where 56 family rooms and a restaurant are housed today. With a building cost of 60 million SEK and a vast number of subcontractors, it is one of Öhmans Bygg biggest building projects. Roland Fredholm began working in the company 1990 and he says that they then used an old estimating program that was never updated and therefore they started to look for something to replace it with. After evaluating several programs they chose Bidcon. Roland himself started using the program immediately but after some time he took a course to learn more about how to use it effectively. – Bidcon is a program that is easy to use and we know that we can trust that nothing is left aside and that there is a price on everything. With the help of Bidcon we can also provide a basis for piecework that is used in our projects. Öhmans Bygg takes on turnkey projects as well as partial contracts. With 40 employees they can handle most anything within building preservation, such as decontamination and advanced timber improvement. They also produce traditional timbered houses as well as blockhouses of massive glulam blocks. Consultation in the renovation and repair of historic buildings is also part of their business activities.